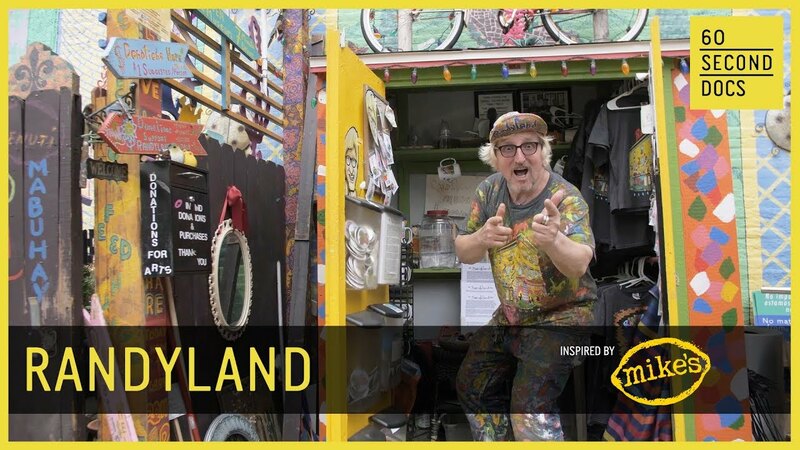 Randy Gilson bought Randyland on a credit card in 1995. Every day after waiting tables, he came home to paint and bring happiness to his neighborhood. Now people travel all over to share his dream. Randy’s house wide map of Northside. This includes where we live and all our neighbors. Vibrant murals surround Randyland. Bands playing and people dancing. Feel free to dance too. Over a dozen large mirrors dot our back wall. They reflect the best thing: You. Every painting starts with a brush stroke. Every friendship starts with a smile. Isn’t love great? We love when people fall in love. If the love of your life loves colors as much as we do, you might want to surprise them here. Make sure you contact us first so we can set things up. Don’t worry, we can keep a secret. Couples come to Randyland for engagement photo shoots full of life. Our saturated world is like no other. If you’re looking for animated photos, come on by. We do charge a in-kind donation for professional shoots to buy more paint. Do you have a project larger than a few photos? Is it a commercial shoot? Please pitch us first. We are a good neighbor in a wonderful community. We know what works and what doesn’t. Please reach out to us and we’ll see if we can collaborate. Randy Gilson’s outsider art is public art. Almost everything at his house is garbage he repurposed. He also gives inspirational speeches to guests as he paints. Randy’s lives at Randyland. The first floor is his studio. Most of his artwork is outside for your enjoyment. He has painted over 300 Thinkerers which has been displayed at a gallery here and there. Occasionally he’ll paint suits for friends.